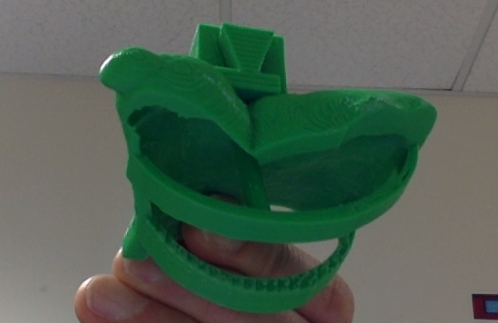 In this project, students from Brookwood School in Manchester, MA are 3D designing and printing solutions to problems posted by members of the Brookwood community. Putting student designers in touch with people in need of a 3D designed and printed solution leads to "win-win" opportunities for all involved. Problem: A Brookwood family has approached us to have a student design a device that will cover the seatbelt receiver in their car (29mmx48mm) that will allow the metal seatbelt to be attached and the parent to press the red button to open but will prevent their daughter from accessing the red button and accidentally undoing the belt. 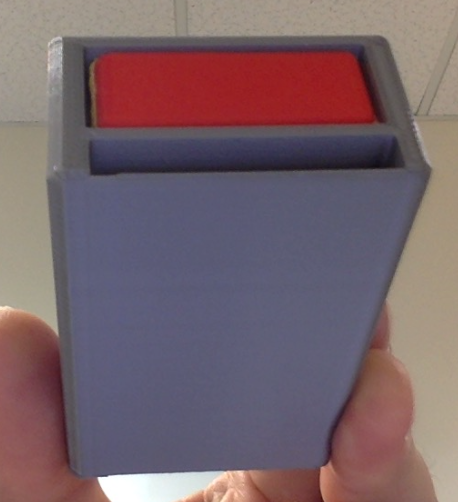 Please see Mr. Lehrer to do a closer analysis of the 3D printed "mock-up" of the seat belt receiver. Problem: We have just received 2 new Prusa i3Mk2 printers, but the plastic filament holder is designed to only hold their a filament roll from their company - i.e. 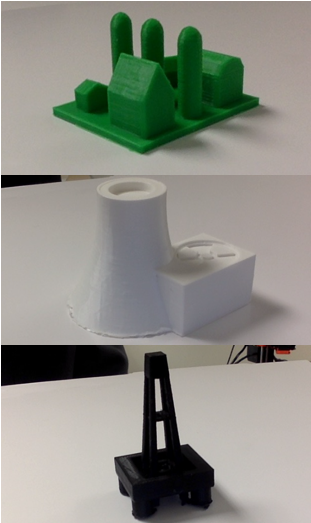 it is too small to hold our existing filament rolls. Please come by the makerspace to see how the existing holder works and to measure to find out how big the new holder would need to be. Problem: There are a number of places around the school where we could use Braille signs - deciding where those are and using 3D printers to create them will certainly help make our school more accessible to visitors with visual impairments. Please come and talk to Mr. Lehrer to discuss. Problem: 5th grade teacher Mr Holch will be running a massive World Peace Game over the course of this school year. 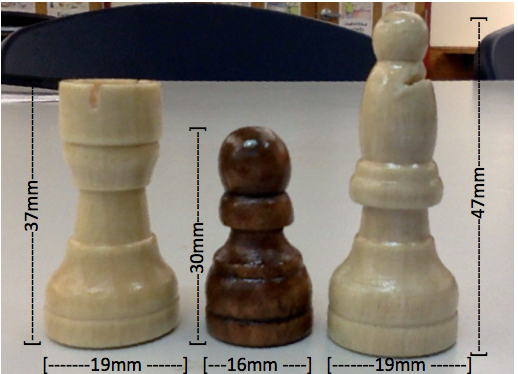 He needs dozens of different pieces designed to represent different aspects of the game and hundreds of actual pieces printed. Come and see Mr Holch or Mr Lehrer if you are interested in helping out. Problem: HELP! With 7 different 3D printers (including 4 new printers added over the summer) in our makerspace, we have a real space issue. 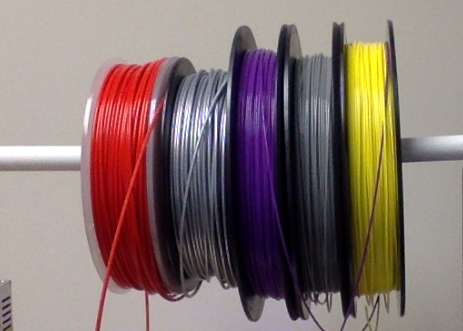 Please help us get started organizing by designing a system that will allow us to mount our 3D filament rolls on the bare walls using 1.5cm PVC pipe. Problem: We have an initiative at Brookwood where we create "hyper customized" 3D printed prosthetics for one of our 1st grade students. We need students to design "activity specific" attachments that will clip into the device we have created (think music room, PE activities, etc. etc.). 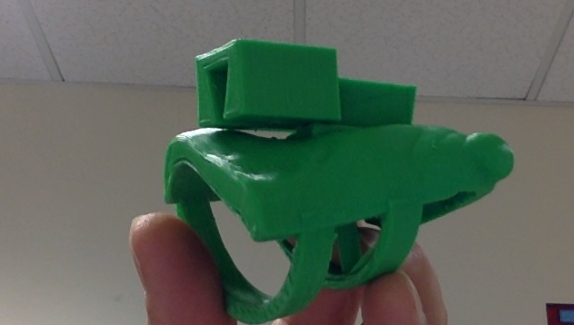 Additionally, we are looking for students to refine and improve the attachment system we have designed. See 8th grade student, Chase, or Mr Lehrer for more information. 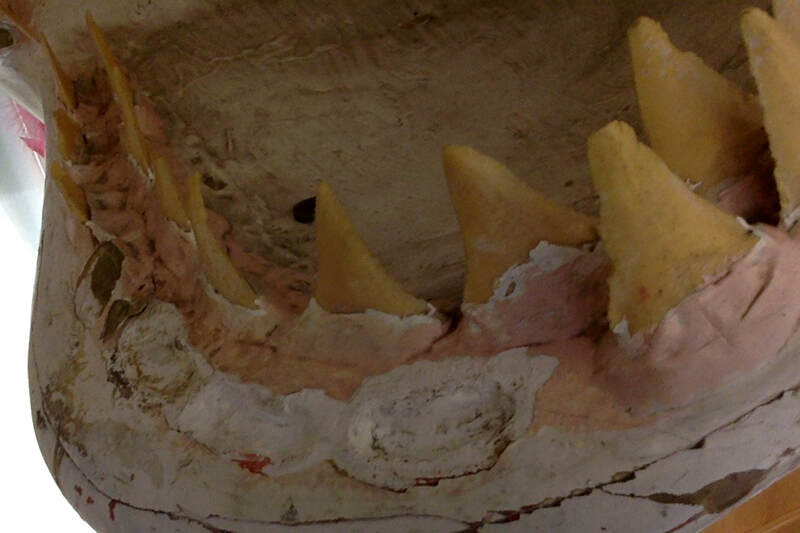 Problem: Is there anything sadder than a toothless Great White Shark? 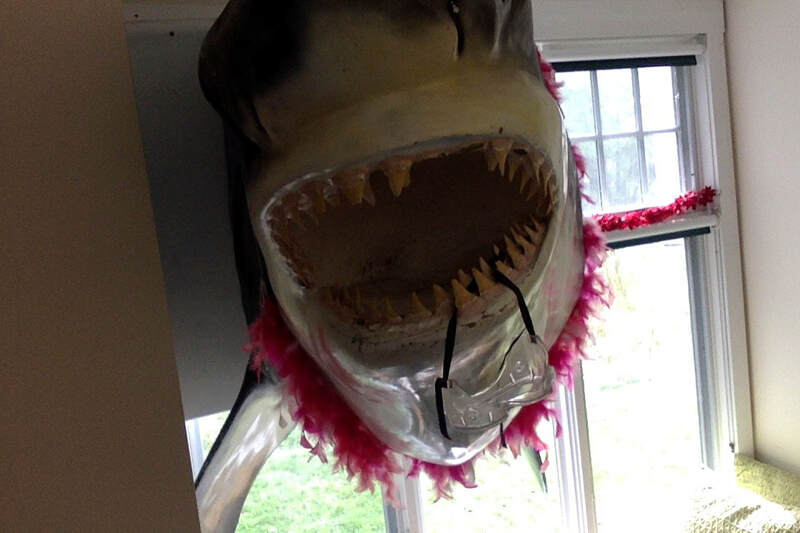 Our 8th grade shark is missing a few teeth. 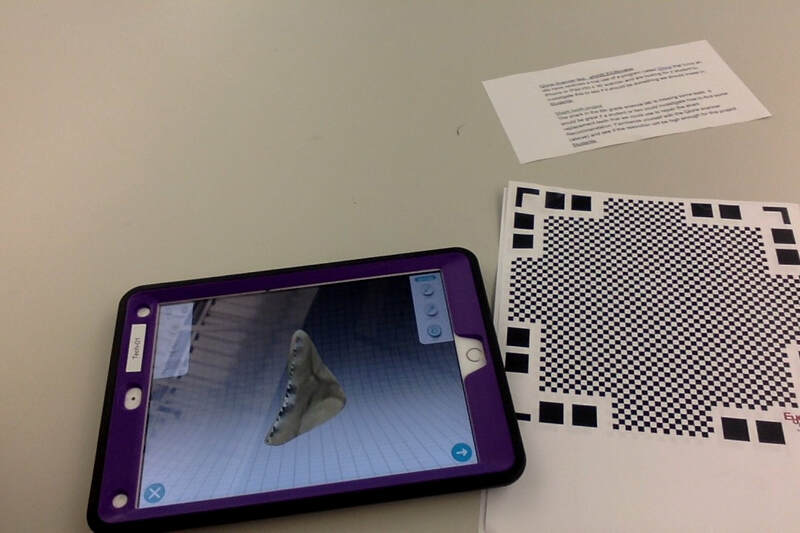 Interestingly, we also have access to the iPad 3D scanning program Qlone for the next month and we are looking for students to put this all together and make us some new, custom fitted "shentures" (shark dentures)! 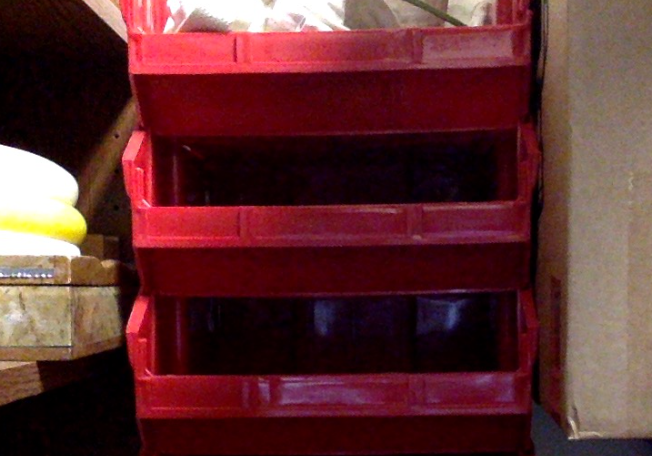 Problem: We have this awesome plastic bin storage system. The bins rest on the metal brackets on the above grey cart. If someone would please create a "stand alone" version of this bracket we would be able to mount these bins anywhere... including on the walls of the MakerSpace. Come to the science gym to get the measurements of the bracket. 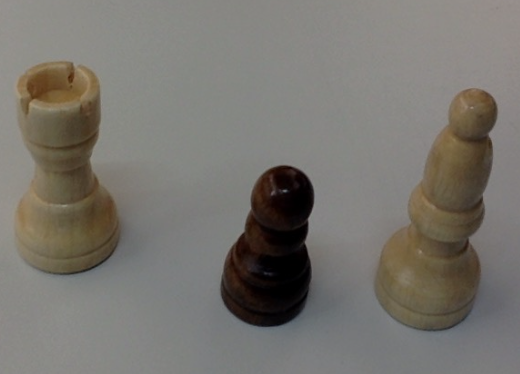 Problem - Hi - We are looking for PVC joiners to allow us to have our Kindergarten students create structures out of PVC. Could you design some of those for us? Thanks, Mr P.
For more information about Brookwood's Collaborative Design Project, pairing Middle School Students with Senior Designers from our Community, Please visit the below links. Note: Rich Lehrer, Brookwood Innovation Coordinator and creator of the Brookwood 3D Design Problem Bank Project, is also a National Faculty Member for the Buck Institute for Education, PBS Digital Innovator, Ultimaker Pioneer, and the former Education Coordinator for the Enable Community Foundation. For more information about Rich's work, please visit ﻿his website﻿.